Maybe my new blog photo. What do you think? 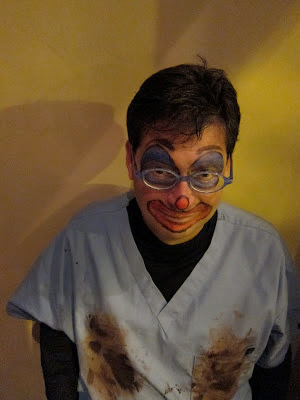 Dr. Blake Downs: An obvious costume choice for me. If you haven't seen the brilliantly sick show Childrens Hospital, here's one of my favorite episodes. Below, I didn't get any great shots of the Giants' victory parade because I was just too far back. The first shot captures the fun, I hope. 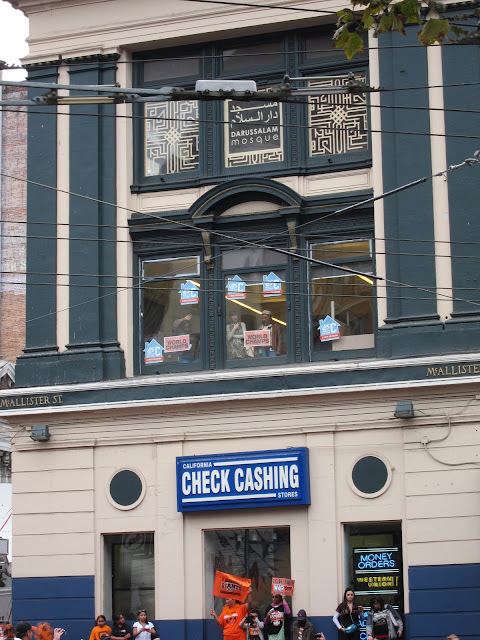 And the second is just a weird cultural collision: a mosque atop a check cashing place, which probably charges higher rates than Islamic law allows, with Giants fans at both levels. Baseball, the great unifier -- at least when the local team wins.